Earlier this month Isabelle and I went to the Mobile Museum Fair at the Los Angeles Central Library downtown. The fair brought together a couple dozen exhibits and libraries, from the International Printing Museum‘s printing shop on wheels (which we’d once seen in front of our building on campus) to the Feminist Library on Wheels to a native plants pop-up seed museum. The trucks were lined up outside the library on 5th Street while other exhibits were scattered throughout the library’s halls and meeting rooms. We’d heard there would be tours of the Rare Books Room, and we were lucky enough to snag the third and fourth spots out of twenty for the second and last tour. 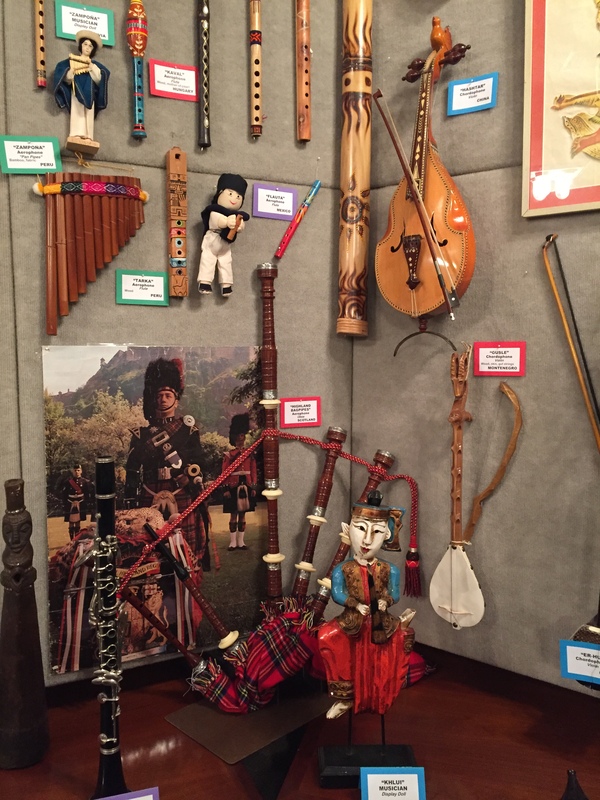 After signing up, we visited the Connecting Cultures Mobile Museum, which featured a large collection of masks and musical instruments from around the world. On a table in the middle of the room were a handful of instruments you could play, including a few thumb pianos, a guitar, and something Isabelle thought was a guzheng. She showed me how to pluck it. On the walls were many more instruments: balalaikas, an erhu, a kora, a hulusi, a banjo, a violin… There were also the masks, but I was more into the musical instruments. 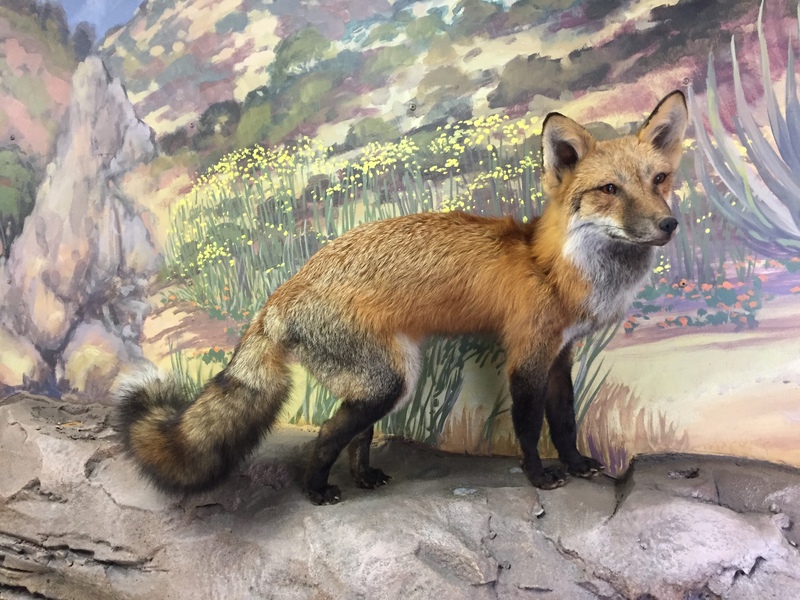 We checked out the museum trucks outside and visited the Department of Recreation and Parks’s eco trailer, with stuffed wildlife from the Santa Monica Mountains. Inside the library, we also saw the screen printing station in the courtyard, a couple of mobile libraries, a mastodon skull, and volunteers cuddling a tegu (a very big lizard) and a snake. Later on, after the Rare Books Room tour, we arrived in the rotunda just as the inflatable planetarium was toppled. We examined the seeds and seedpods at the seed museum and then took a quick look around the 21 Collections exhibit in the Getty Gallery. At four o’clock, those of us who had signed up for the tour were taken up in an elevator to the Rare Books Room, where we were welcomed by Xochitl Oliva, Senior Librarian of Digitization and Special Collections. Now, I received Susan Orlean’s The Library Book for Christmas, and I had finished reading it shortly before the Mobile Museum Fair. Orlean’s book is about the history of the Los Angeles Public Library and, in particular, the central library, the building that houses it, and the 1986 fire that destroyed hundreds of thousands of books there. She also writes about a number of current library staff, and Oliva is in her book! Reading it also gave me much more context for this visit to the library; the only time I’d been before was with Mike the Poet over two years ago. Oliva oriented us to the library and then spoke about each of the pieces from the collection that had been selected and set out for display on two wooden tables in the center of the reading room. 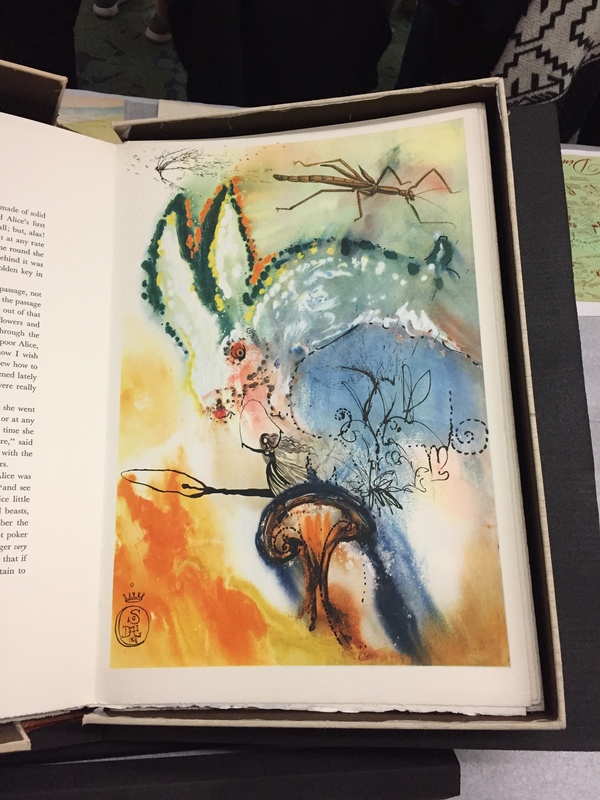 There was a large-format edition of Alice in Wonderland with illustrations by Salvador Dalí. 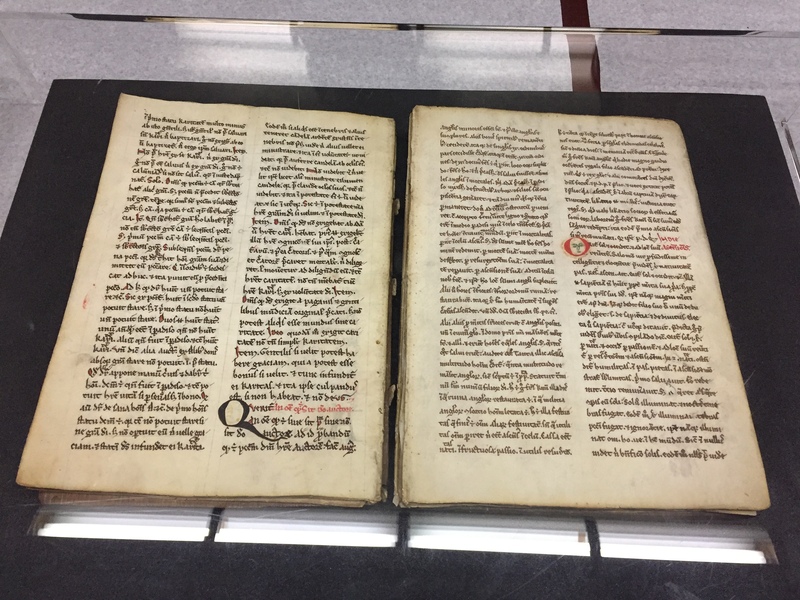 There was the oldest book in the collection, a 13th century Latin manuscript from the priory of Nostell in England. There was a Shakespeare Fourth Folio, a page from a Gutenberg Bible, a map depicting California as an island, a Sumerian temple dedication cone with a cuneiform inscription (the oldest item in the collection), and samples from the library’s collections of menus and fruit crate labels.